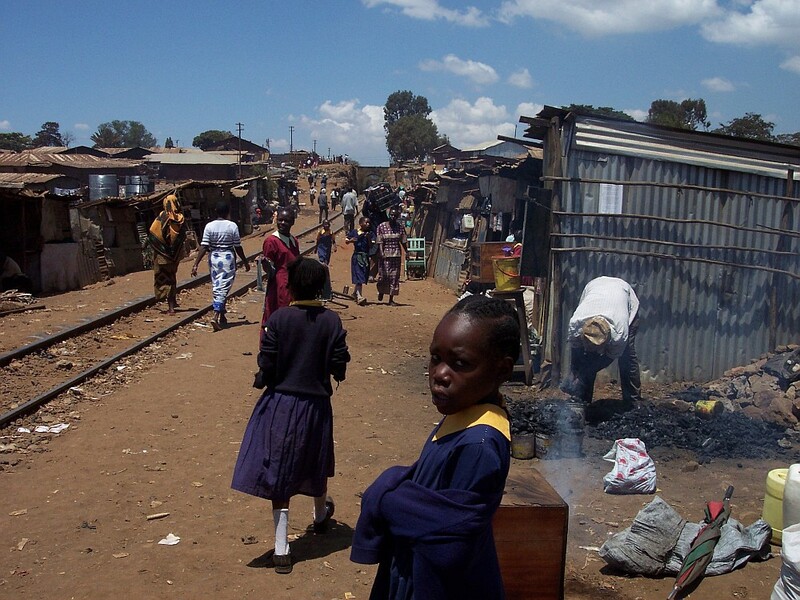 Nairobi, Slum Kibera, 2005. 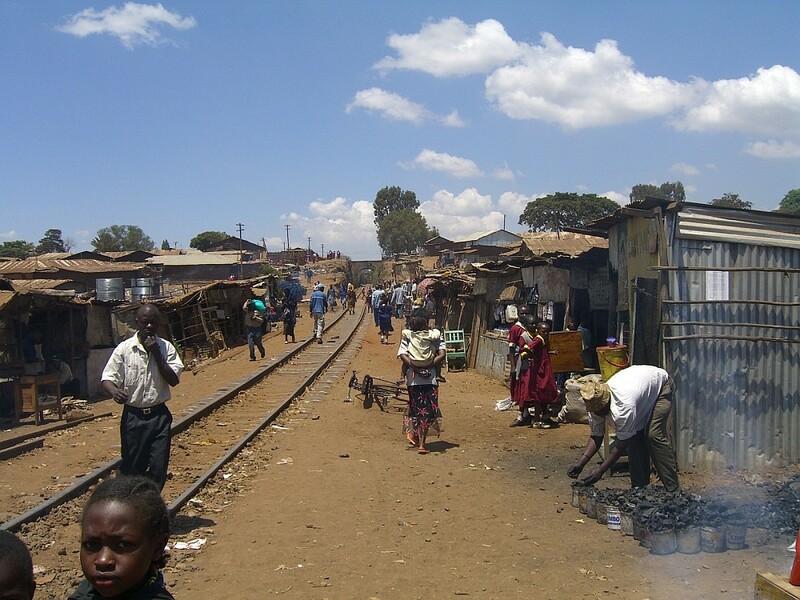 Durch den Slum verläuft die Bahnlinie nach Kampala in Uganda. 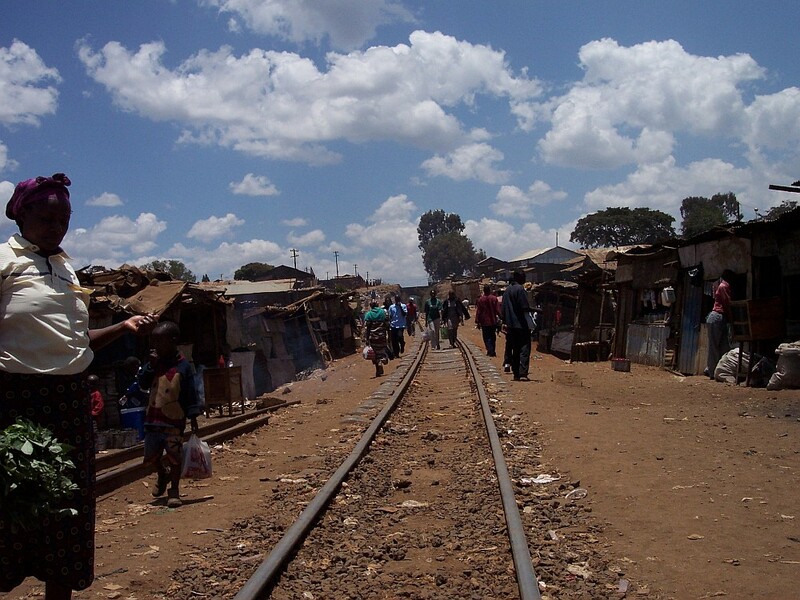 / Nairobi, Kibera Slum, 2005, Railway track leading from Nairobi to Kampala (Uganda). für Lehrmittel und Schuluniformen aufkommen, Viele Familien können sich das nicht leisten. 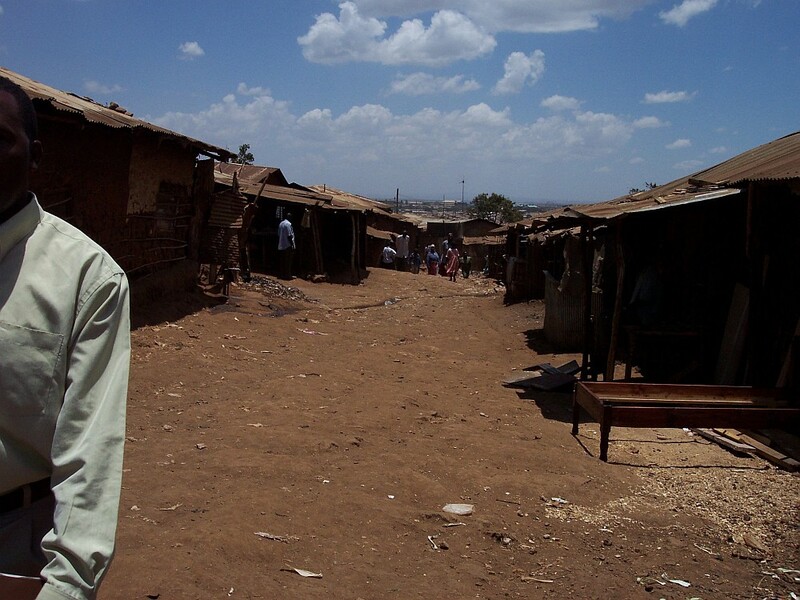 Nairobi, Kibera Slum, 2005. These children have enough money to go to school. 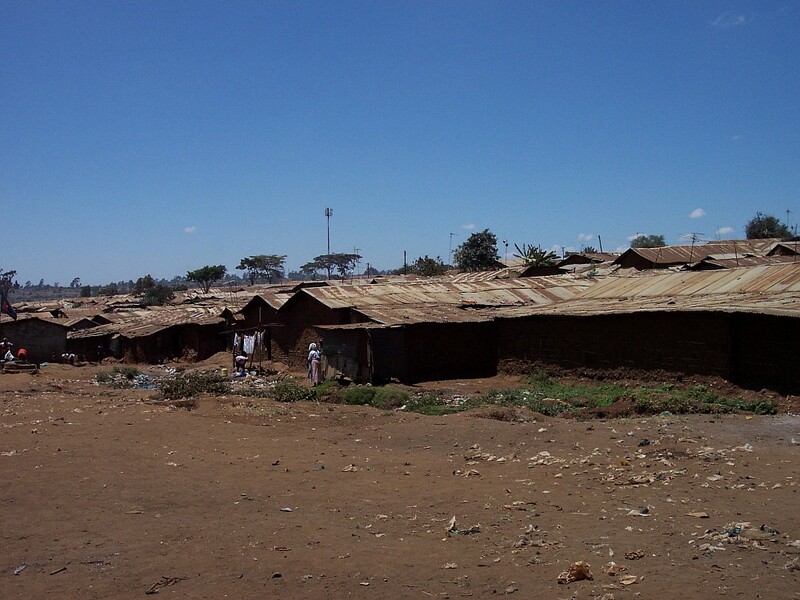 While elementary education is free in Kenya, students still need to buy school supplies and uniforms. Many cant afford these expenses. 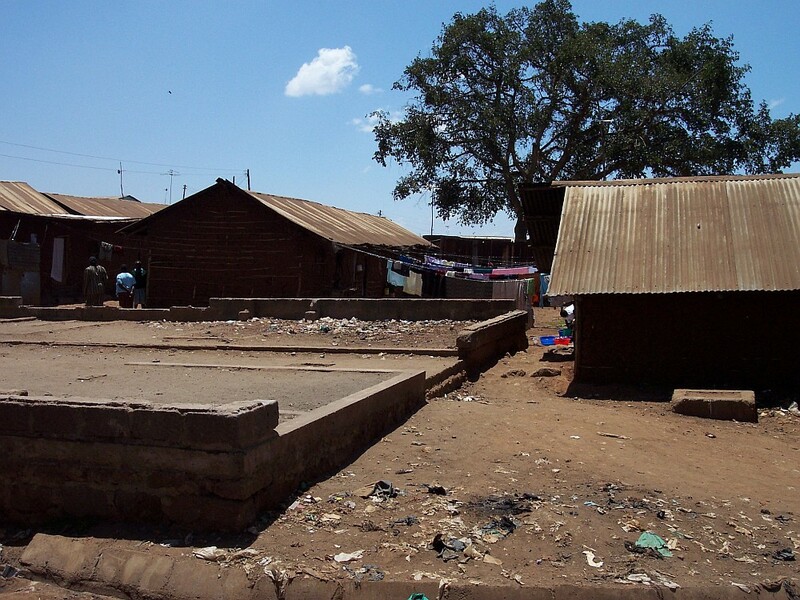 Nairobi, Slum Kibera, 2005. 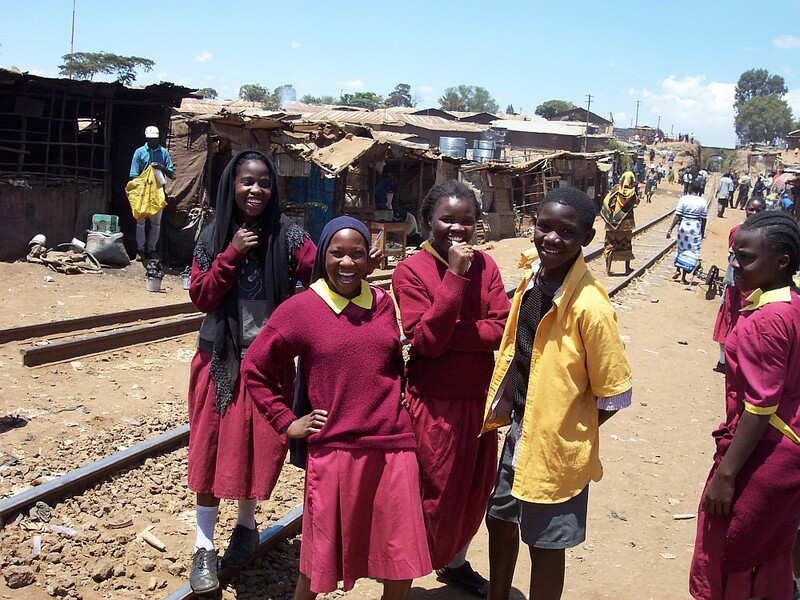 Schulkinder an der Bahnstrecke / Nairobi, Kibera slum, 2005, School children at railway track. 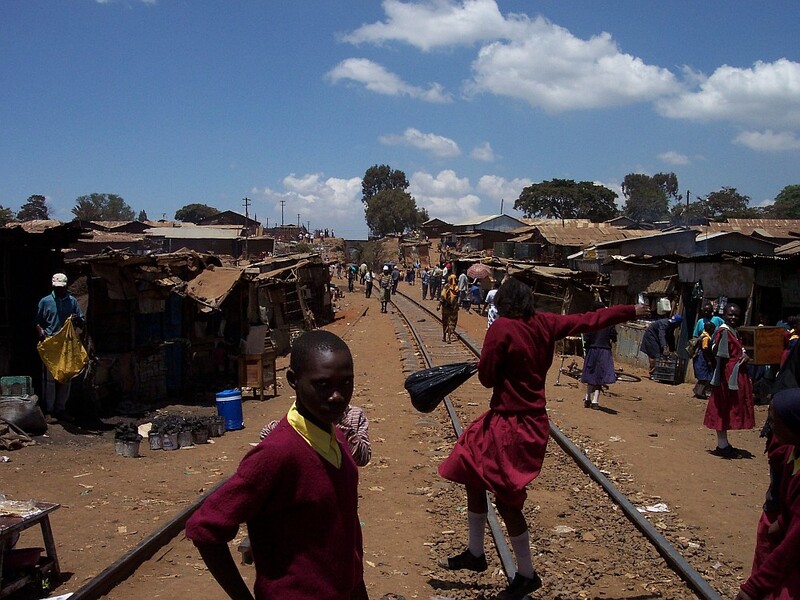 Nairobi, Slum Kibera, 2005, Bahnstrecke / Railway track.